NetherRealm Studios’ upcoming fighter is shaping up to be an absolute behemoth. Mortal Kombat has been on an excellent run ever since NetherRealm Studios revived and rebooted the franchise in 2011. Sure, there’s only been two instalments in that time, but Mortal Kombat 9 was an excellent return to form for the series, while Mortal Kombat X was perhaps the best this series has ever been. The chart of progression has been on an upward trajectory, so it’s not surprising at all that expectations from Mortal Kombat 11 are sky-high as well. NetherRealm, however, clearly aren’t daunted by high expectations, because from what I played of Mortal Kombat 11 during its closed beta, it’s shaping up to be yet another flawless victory for the series. Mortal Kombat has always been a series that strives to strike a balance between having the kind of mechanical depth that genre veterans can really sink their teeth into, while still being flashy and accessible enough to instantly appeal to newcomers. Mortal Kombat 11 is definitely following that template as well. Of the new mechanics that have been introduced so far, Fatal Blow is definitely among the best. Once during every match, you can use a deadly, cinematic, high-powered move at critical times when your health is slow, allowing you to deal a ton of damage. Having a failsafe to fall back on during fights might tone down the challenge somewhat while allowing players to fall into the mindset of having some margin for error, but based on what I’ve experienced so far, it actually works into fight strategies quite well- letting lose with your Fatal Blow might help you win the first round of a match, but if you save it and decide to get through the first round on skill and nothing else, the Fatal Blow’s availability in the second round can come in really handy. Of course, just as it is the case with everything in Mortal Kombat, these Fatal Blow moves are also incredibly over-the-top and brutally gory. They’re almost like mini-Fatalities of sort, rewarding you with excellent, slick, and extremely graphic cutscenes that hold nothing back, and really sell just how much damage you’re doing to your opponent. In fact, I often found myself saving up my Fatal Blows for the end of a winning round, so I could immediately follow one up with a Fatality to win a match in the most excessively brutal way possible. Mortal Kombat 11 definitely doubles down on the series’ flair for eye-popping gore, that’s for sure. The Fatalities, of course, also deserve a mention, at the very least. Long held to be synonymous with the very soul of the series, Mortal Kombat has always striven to one-up itself with how ludicrously beautiful its Fatalities can get, and Mortal Kombat 11 definitely seems to be leaving no stone unturned to take that crown. To say nothing of all the stuff we’ve already seen in the game’s several reveal trailers, even in the beta itself, which only offers five characters and each of their Fatalities, what I’ve seen has been incredibly impressive. 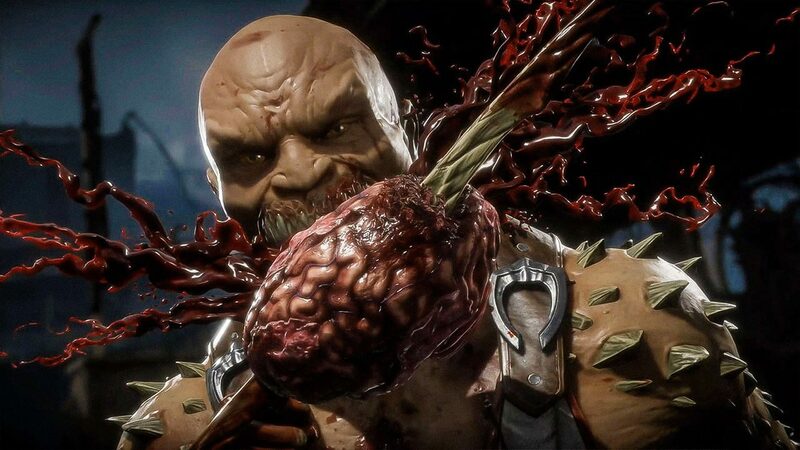 From Baraka literally chomping down on brain kebab to Jade’s amazing antics with her deadly staff, Mortal Kombat 11’s Fatalities seem to be shaping up to be among the very best this series has ever offered- and that’s saying a lot. Fatalities also have a new look to them, now presenting players with beautiful slow motion sprays of blood spatter, which has been rendered with incredible care, with the x-rays of past days now taking centerstage in the Fatal Blows. 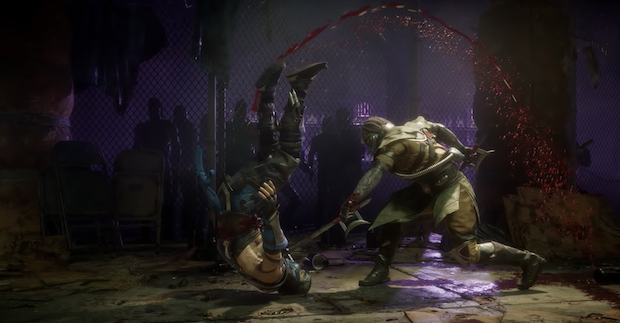 Mortal Kombat 11 knows how excellent those blood effects look, and it makes use of them as much (and as well) as it can during each and every single one of its Fatalities- or at least all the ones I’ve been able to see in the beta. 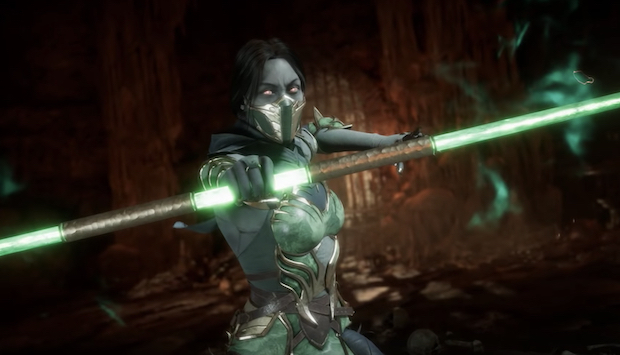 The beta also offered a glimpse at the customization mechanics that’ll be featured in Mortal Kombat 11, which are a cross between the customizable movesets of Mortal Kombat X and the loot of Injustice 2. So far, it really seems like it’s taking the best of both worlds- the cosmetic aspects of decking out the characters in the game’s roster with whatever costumes and weapons will give plenty of mileage to a large section of the playerbase, I’m sure, but what’s even more interesting is getting to decide the special moves your character will be equipped with, with there only being a limited number of slots to fit moves in. Some might view these as restrictive, and I’m sure this is an area where you’ll get more enjoyment if you’re more into the personalization aspects of the game rather than the competitive ones, but building a variation of a character to suit the way you prefer to play presents interesting possibilities, especially if you’re looking to have a go in a Tower gauntlet. The addition of augments should only serve to take the level of customization on offer even further. From what I’ve seen so far, it doesn’t look like it’s going to be the most extensive range of tools on offer, but what is on offer seems encouraging, and I suspect will add a nice bit of variety to the game for those who invest some time in it. Really, the only complaint I’ve had in my time with the beta – and even that is a minor one – is the movement speed, which seems a tad slow at times. It’s barely noticeable, and only because everything else – from the attacks to the blocks to pulling of combos – feels so slick and fast. NetherRealm Studios, however, have given assurances in the last few days that the game’s movement speed is something they have been working on behind the scenes, and that it’s going to be faster in the final game than what was showcased in the beta. That said, even if, for some reason, that turns out to be not true, I don’t think it’ll be much of an issue- merely an occasional annoyance. It’s pretty clear that I really enjoyed what I saw and experienced in the Mortal Kombat 11 beta. There are very few developers in the industry who inspire confidence in players the way NetherRealm does, and this beta just goes to show why. Mortal Kombat 11 feels like it’s dialling everything up to eleven, and really, that’s what this series has always been about. 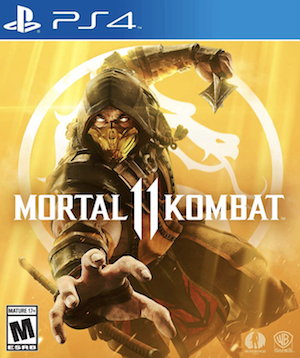 I was quite excited to get my hands on Mortal Kombat 11 since the moment it was revealed, but now, after the beta, it may very well be one of my most anticipated games in the next few months. Thankfully, neither of us has to wait too long- it’s out on April 23 for the PS4, Xbox One, Nintendo Switch, and PC, and I’m sure it’s going to be a hell of a good time.